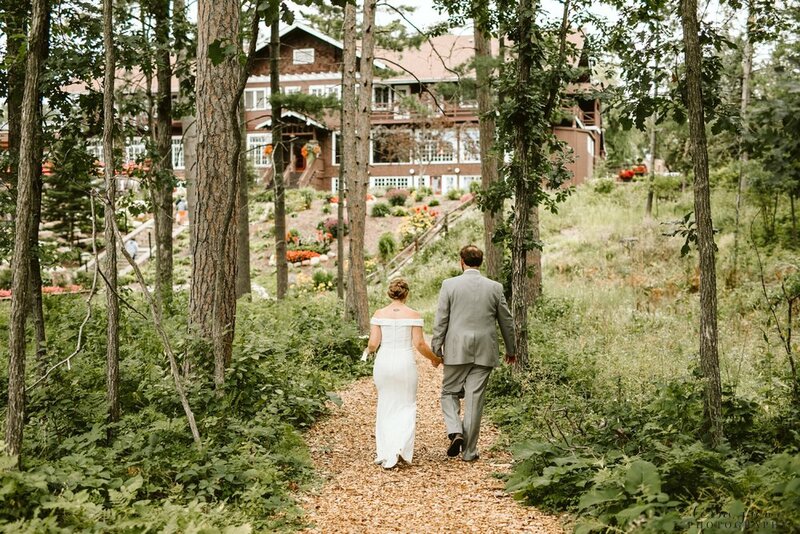 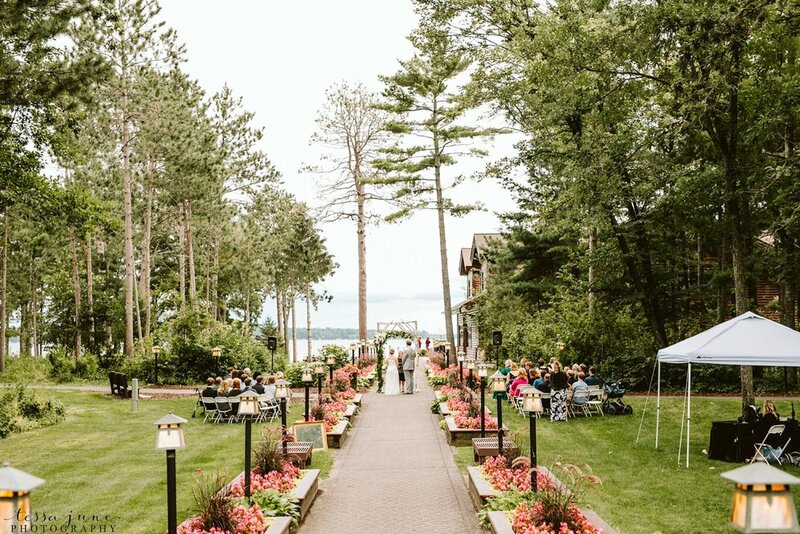 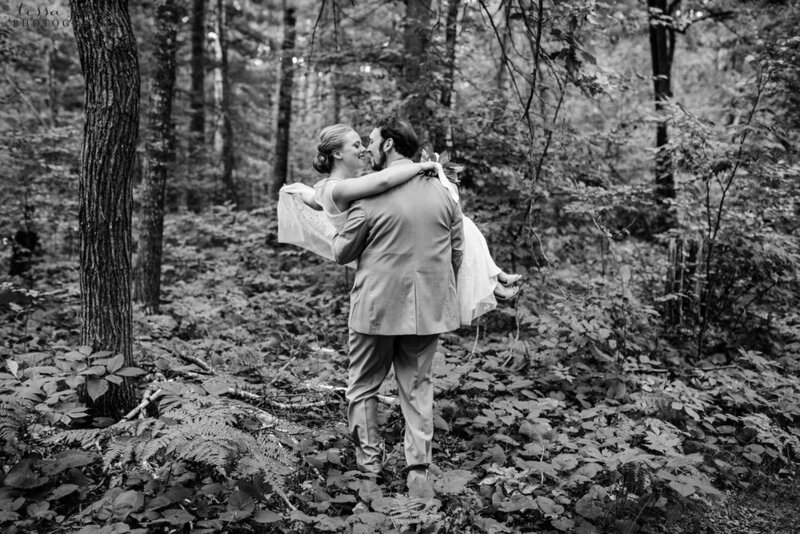 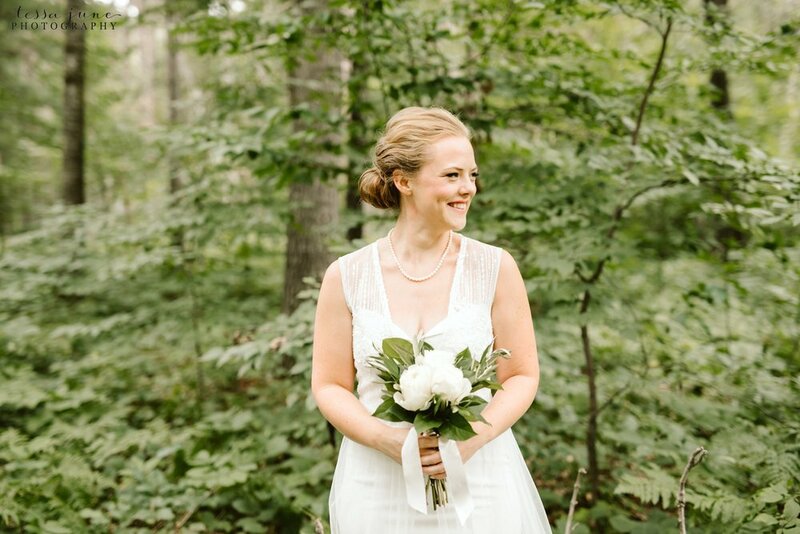 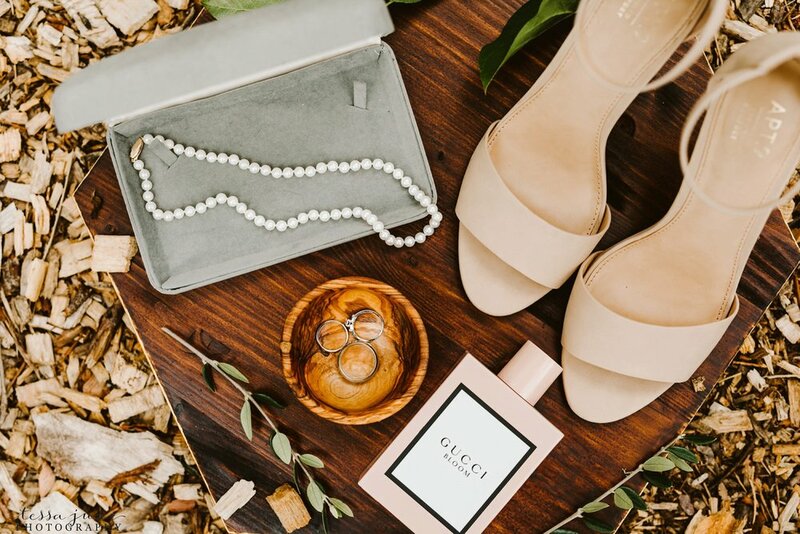 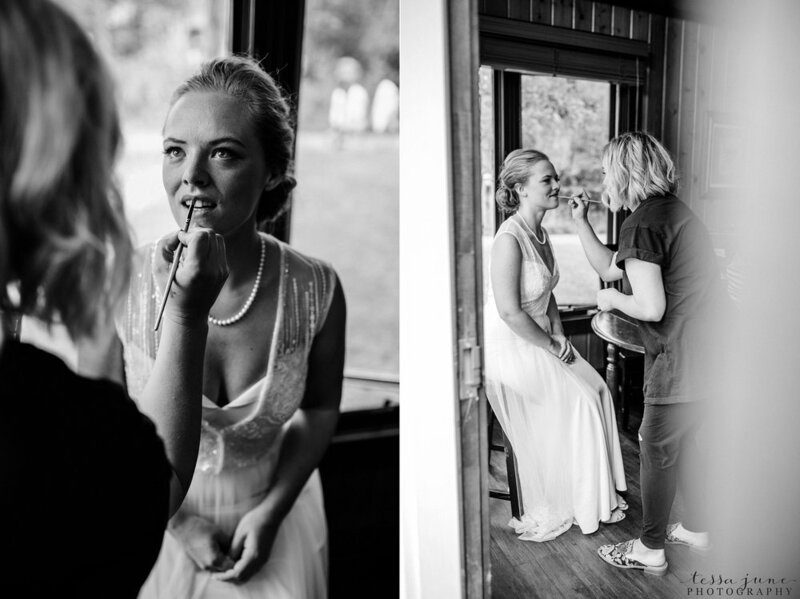 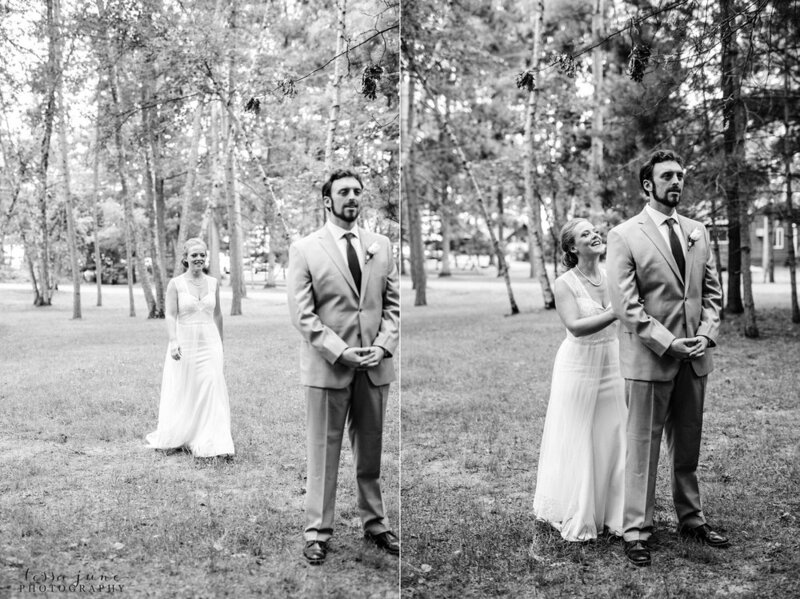 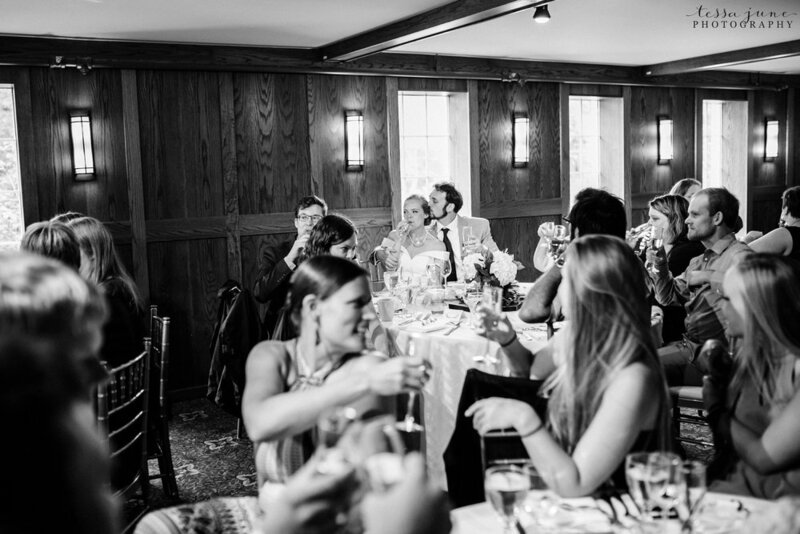 Katie and Nicholas had the most beautiful intimate weekday wedding at Grandview Lodge in Nisswa, Minnesota this summer. 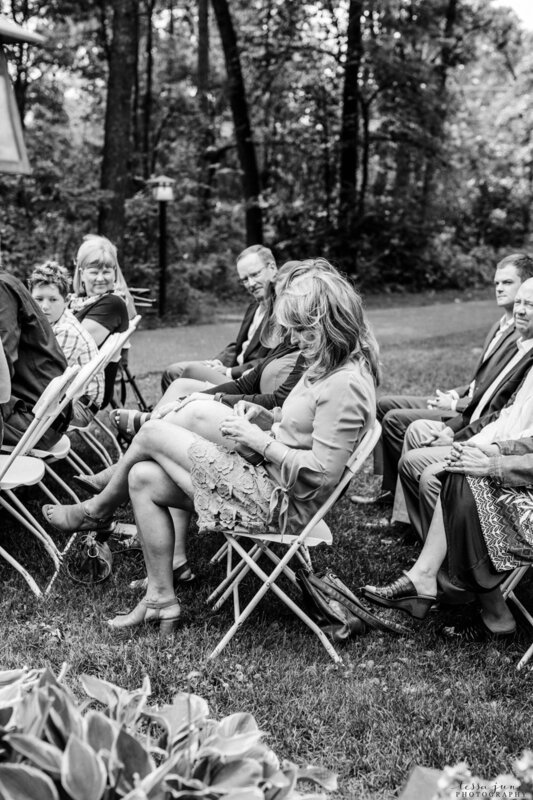 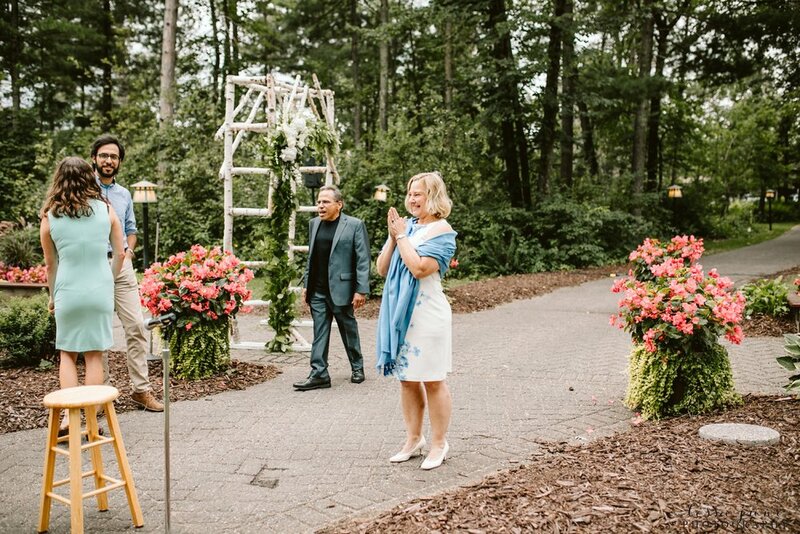 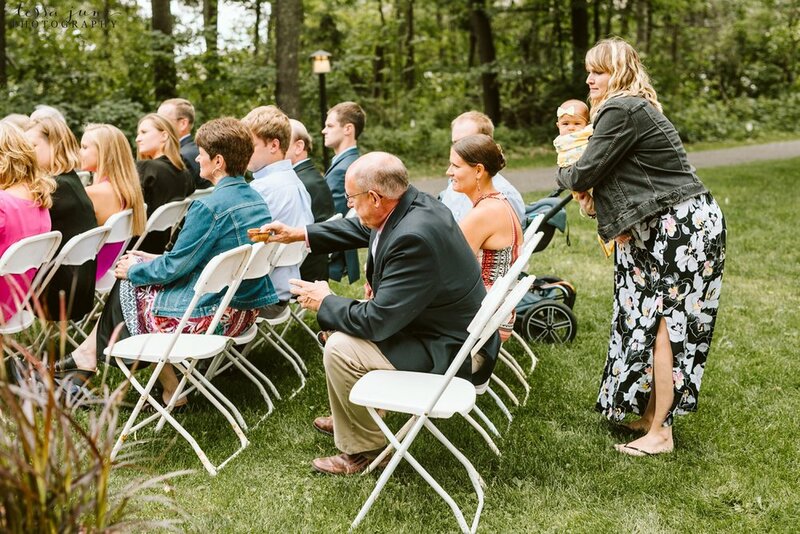 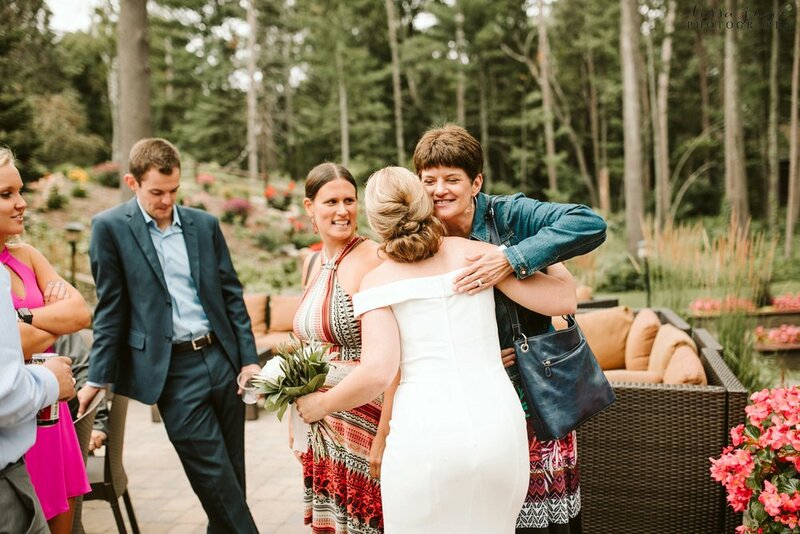 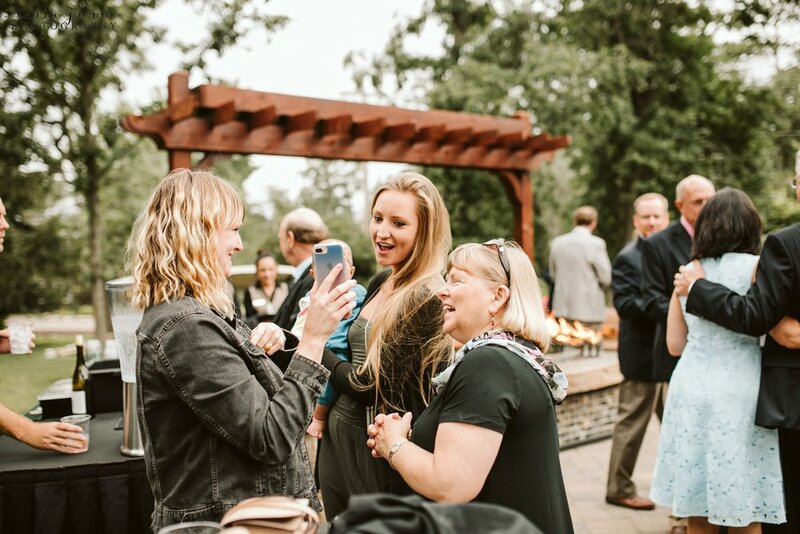 They were surrounded by fifty of their family and friends who traveled to their destination wedding in northern central Minnesota! 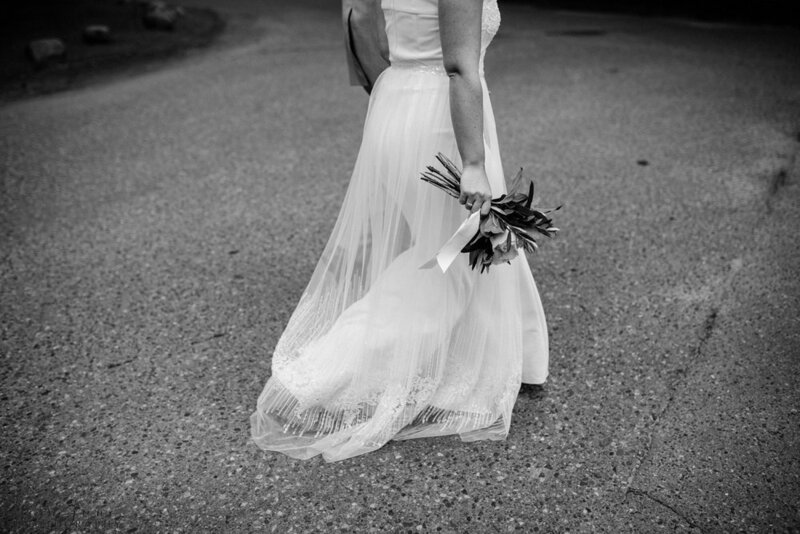 Katie had written a journal for thirty days to her future husband leading up to the day! 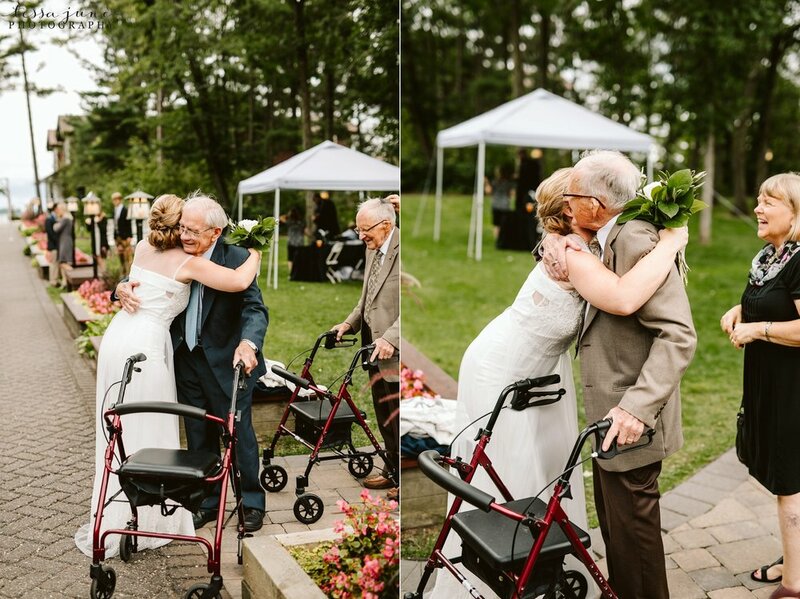 It was so special to see! 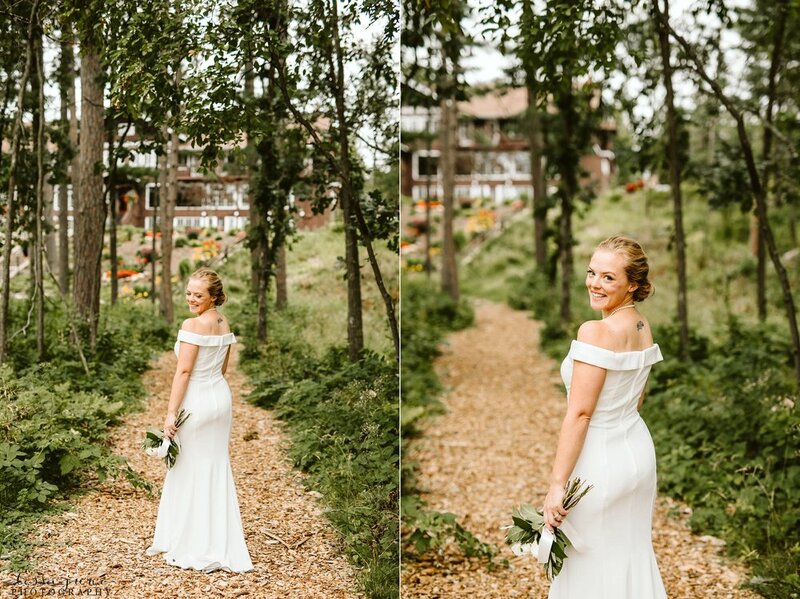 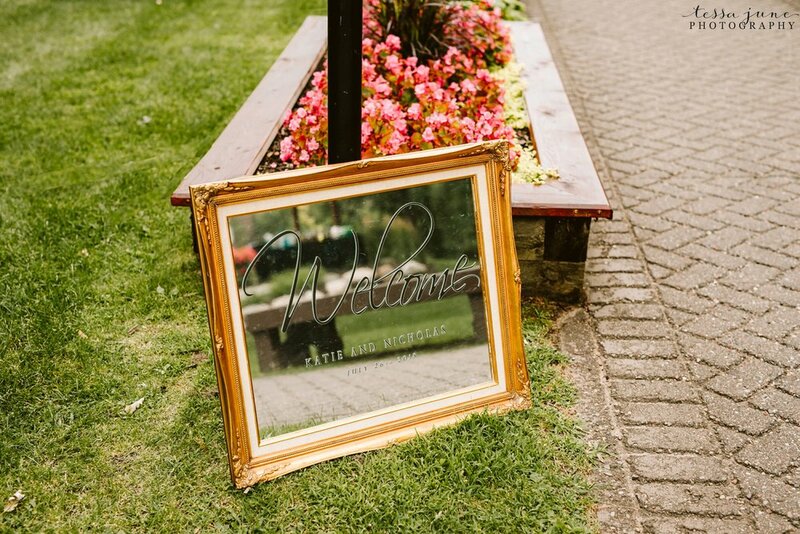 She even wore a two part dress, the first part with a gorgeous overlay she wore for the first look and for the ceremony, after the ceremony she changed out of the overlay where another beautiful dress unfolded! 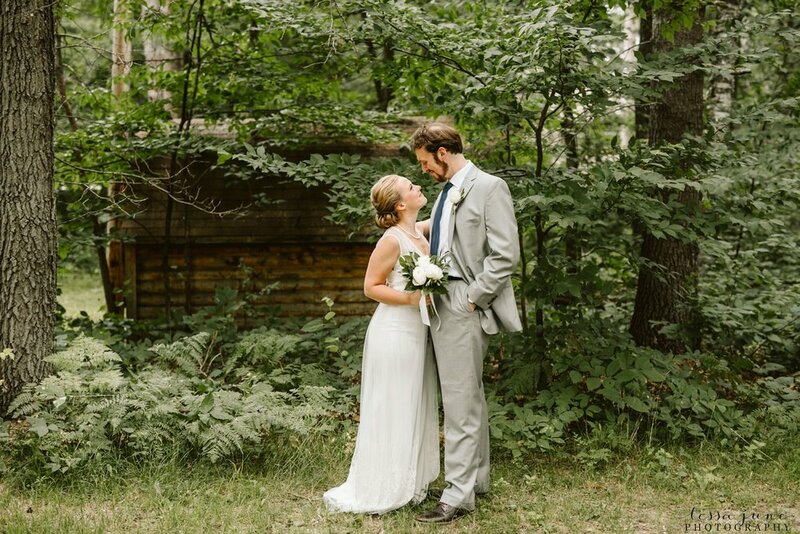 Loved how unique it was! 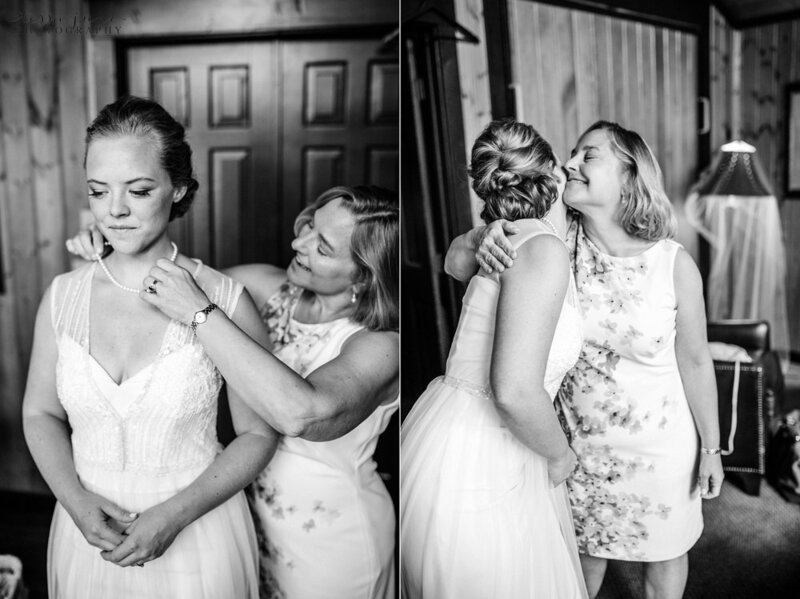 Helping accessorize her look, were her mom's pearls that were given to her during her own wedding. 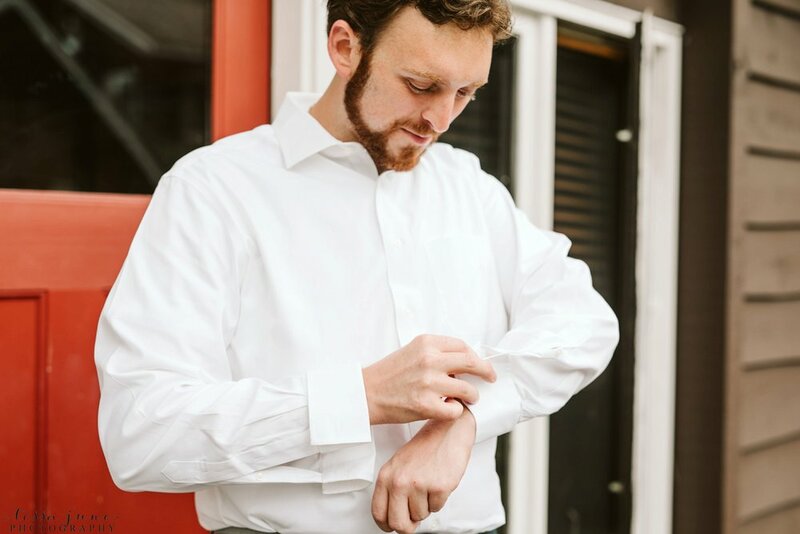 Nic was able to incorporate antique cufflinks and a navy blue tie that he later "customized" later in the evening (be sure to scroll down to see more of how he did that!) 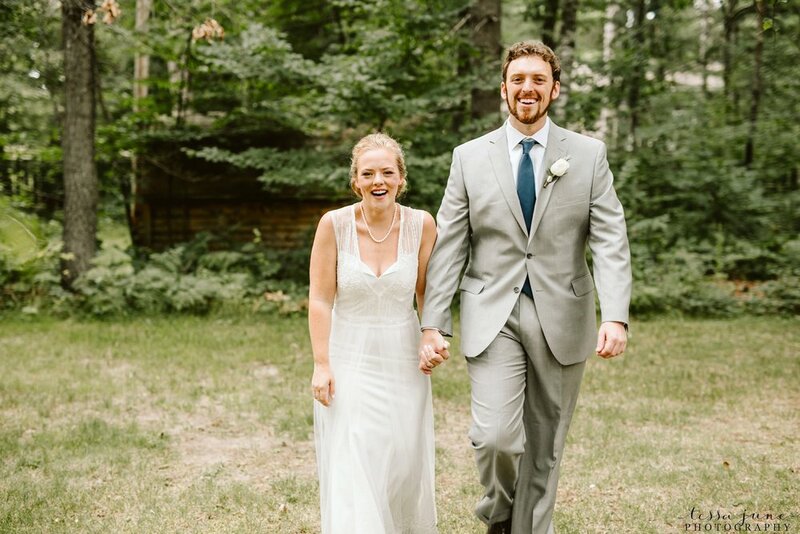 It was perfect for this The Office loving couple! 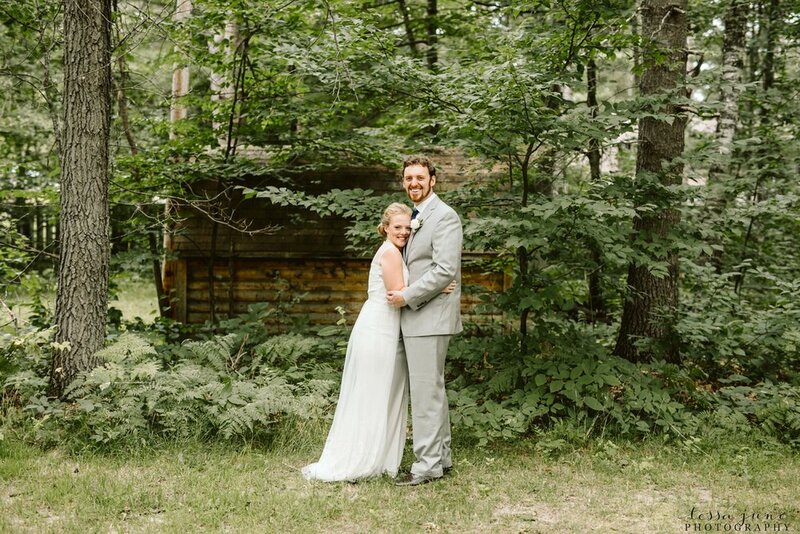 I am so thankful I was able to be apart of their special wedding day up north! 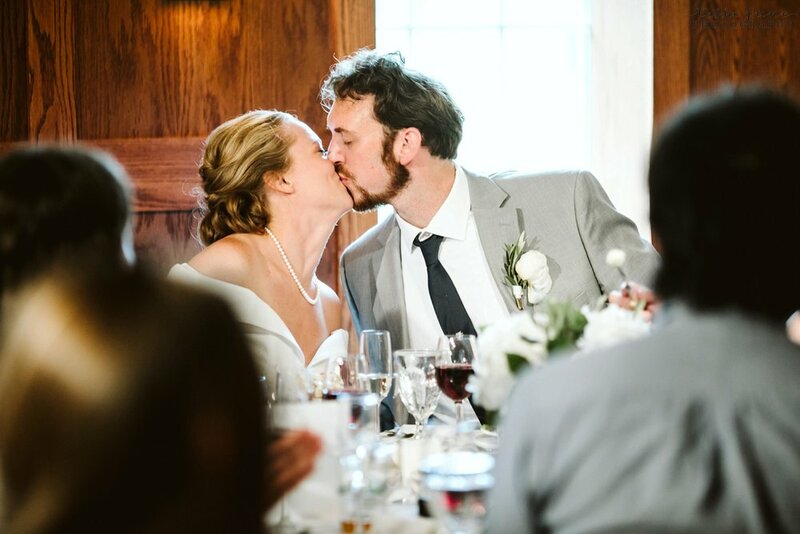 I hope you enjoy looking through their special day!